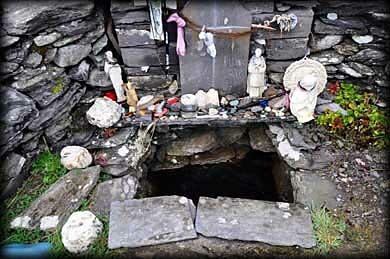 Remotely situated on a flat plain on the northwestern side of Valentia (Valencia) Island is St Brendan's Well. 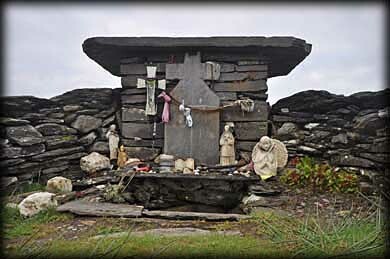 In local tradition it is believed that St Brendan sailed to Valentia across Dingle Bay and scaled the cliffs near Culloo, just in time to baptise and anoint two dying pagans. 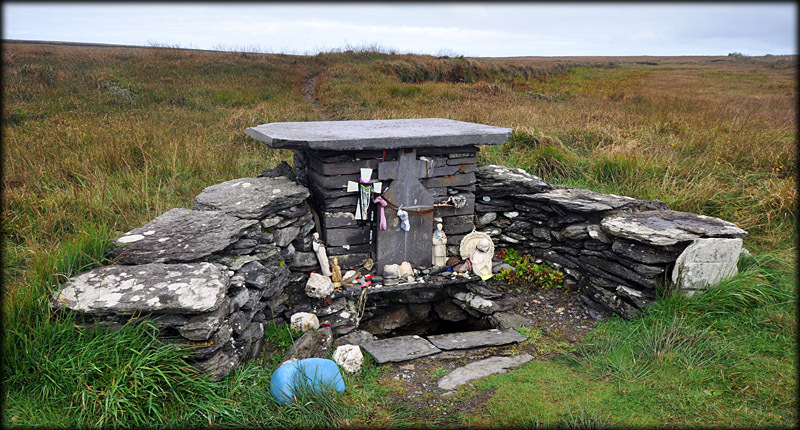 It is known as Tobar Olla Bhreanain, the well of St Brendan's anointing. 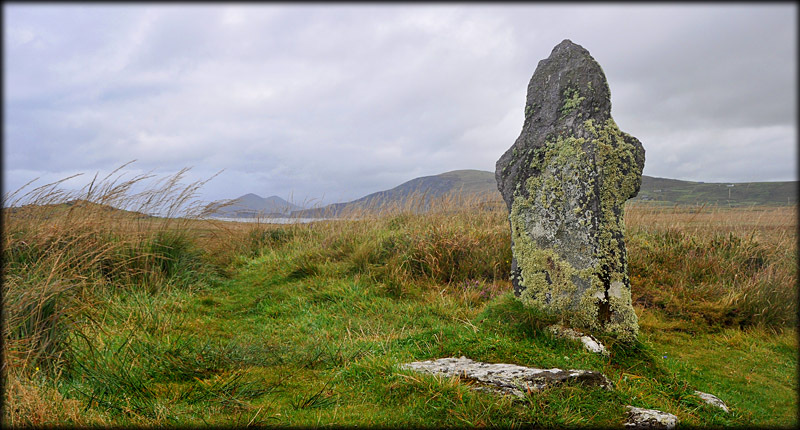 There is a leacht or altar built around the well and to the right is a stone inscribed with a cross. 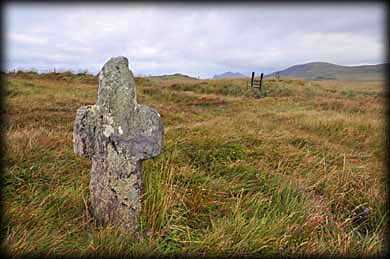 I imagine the cross was scratched on to the stone by the many pilgrims doing the rounds at the well. 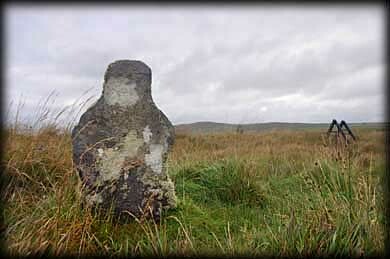 Situated: From Portmagee head on to Valentia and then turn left. After 1.6 kilometres turn right and then 53 metres next right. After 750 metres turn left. 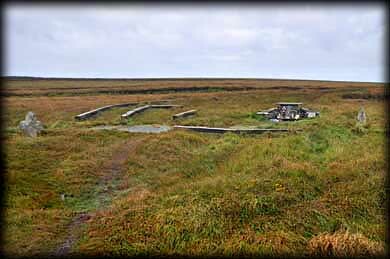 Stay on this uneven road for 1.2 k. Park near O'Sheas derelict pub and walk down the track at the end. Walk left and then right to the well. Bring boots and tread carefully. Discovery Map 83: V 3495 7581. Last visit Sept 2012.